Constructed in 1964, the Astrodome was deemed the “Eighth Wonder of the World” when it opened in 1965. As the world’s first indoor, air conditioned domed stadium, the 18-story multipurpose structure set the bar for arena design and construction for decades to come. 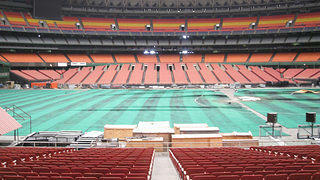 A year after opening, it showcased the first installation of an artificial playing surface, soon to be known as Astroturf. The Dome hosted a variety of sports and entertainment activities in its 40-plus year run. 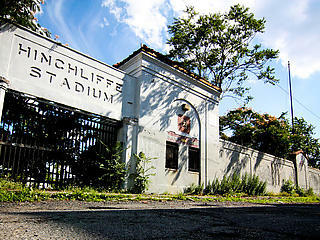 MLB’s Houston Astros and the NFL’s Houston Oilers both claimed it as home field. It was the backdrop for the 1973 “Battle of the Sexes” tennis match where Billie Jean King defeated Bobby Riggs, as well as for Evel Knievel’s world-record-setting jump in 1971. Countless celebrities performed there, including Judy Garland, the Supremes, Elvis, Selena, and George Strait. It even witnessed major current events: The 1992 Republican Convention was held there, and thousands of evacuees from New Orleans took refuge under its roof after Hurricane Katrina. With such a rich history, the Astrodome was listed on the National Register of Historic Places both for its architectural and cultural significance in 2014. The stadium has stood vacant for almost a decade. In 2013, a county-led plan to reuse the Dome was not approved by voters. Today, the Dome has been approved for a $105 million renovation plan. The NFL Oilers left Houston in 1996, the MLB Astros relocated to Minute Maid Park in 2000, and a new NFL franchise, the Houston Texans, began their run in 2002 in the new Reliant Stadium, which is adjacent to the Astrodome. 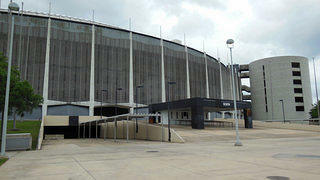 In 2006, the final tenant moved out of the Dome, leaving Houston's "lonely landmark" without a use. Citing code violations, the City of Houston shuttered the structure in 2008. It remains vacant today. 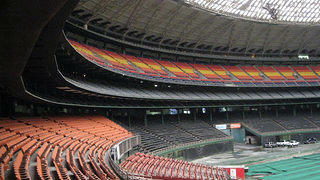 In June 2013, the National Trust added the Astrodome to its annual list of America’s 11 Most Endangered Historic Places. That same month, the Harris County Sports and Convention Authority unveiled a proposal to renovate and redevelop the Dome into the world’s largest multipurpose events space. Dubbed the “New Dome Experience,” the plan sought to reinvent the Astrodome as the “front door to Reliant Stadium." By late summer, it was determined that the issue would go before voters as Harris County Proposition 2—a $217 million bond referendum. While the referendum was unsuccessful, the National Trust worked with Harris County Commissioners Court to identify alternative options for preserving and reusing this landmark. In 2016, the Commissioners Court voted to renovate the Astrodome and begin the redesign process, rather than raze it. In addition, the Texas Historical Commission designated the Astrodome a state antiquities landmark. 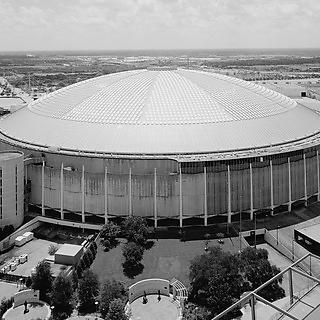 Thanks to broad public support and years of advocating for this National Treasure, the National Trust and our partners, including the Astrodome Conservancy, Preservation Houston, Houston Mod, AIA Houston, and Houston Arts & Media, urged Harris County to move forward with a $105 million, preservation-friendly design and restoration plan for the Astrodome in April 2018. To celebrate this preservation win, the National Trust co-hosted the Domecoming event with the Astrodome Conservancy on April 9, 2018. It was billed as the last opportunity for Houstonians to see inside the Dome before construction began. Approximately 75,000 attended the event, with a line wrapping all the way around the Astrodome itself. 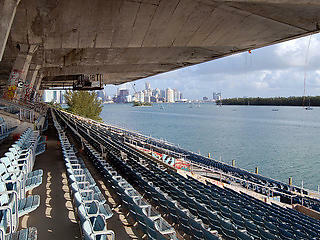 Save and reuse the world’s first indoor, domed stadium – an iconic piece of 20th century Americana. Preservation Magazine The Past and Future of Houston's "Eighth Wonder of the World"
Travel to Historic Places QUIZ: Where Should You Go on Your Next Historic Vacation?